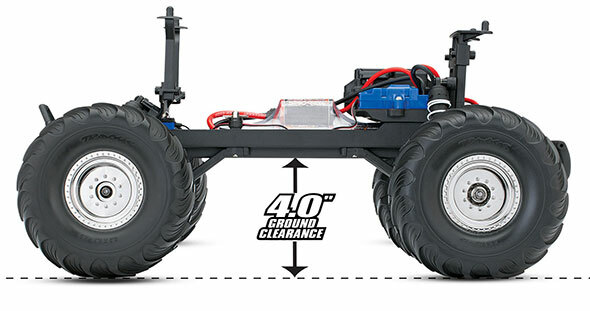 Front Tires: ­ Terra-Groove 2.2"
Rear Tires: ­ Terra-Groove 2.2"
**With 7-cell battery and included optional 19-tooth pinion gear. 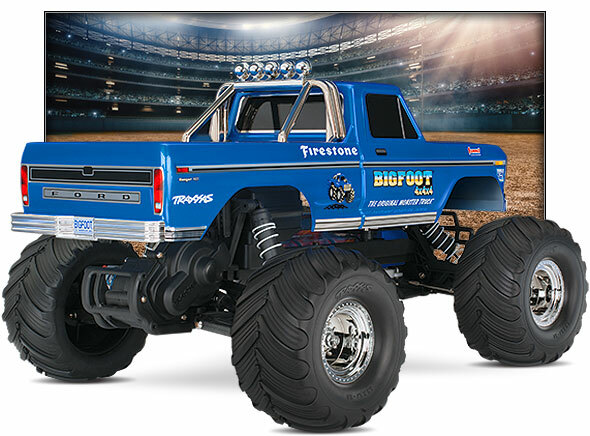 “BIGFOOT”® and “The Original Monster Truck”® are registered trademarks of BIGFOOT 4X4, Inc. FIRESTONE and the FIRESTONE logo are trademarks of Bridgestone Brands, LLC and Bridgestone Licensing Services, Inc. ©2017 BIGFOOT 4X4, Inc., 2286 Rose Lane, Pacific, MO 63069 USA Bigfoot4x4.com. All rights reserved.